Electrical Repair Service you can Trust - Lloyd's Electric Service, Inc.
Electrical repair service is an essential part of daily operations. LES Facility Service, a division of Lloyd’s Electric Service, Inc., is an electrical repair service company like no other. Because LES Facility Service has been in business for decades you are working with a company that has experience and expertise. Why is Electrical Repair Service from LES Facility Service Different? A commercial electrician from LES Facility Service is different from the electrician who changed out the voltage on your home spa. Commercial electricians from LES Facility Service have the training and knowledge to wire out an entire manufacturing plant. With a master electrician, you know your facility is safe. Wiring your plant to accommodate your new conveyor belt takes experience. If the electrician you hired shows up in an old beat up van not wearing appropriate clothing, tell him to go home and call LES Facility Service. 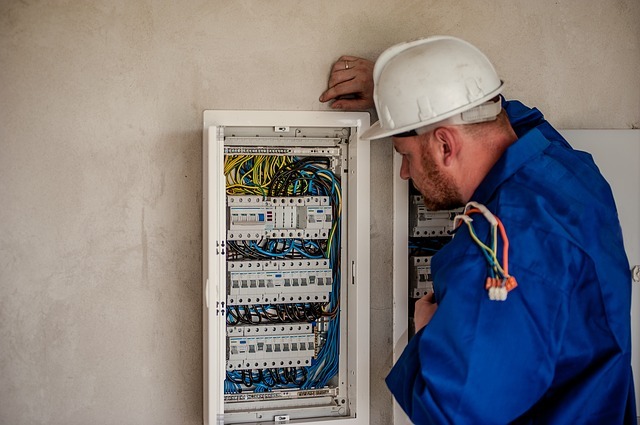 Electrical repair services can’t be eliminated, but can be avoided. With an on-call one, two, three, or five-year maintenance agreement from LES Facility Service, your electrical systems are safe. This includes your wiring and lighting that is serviced regularly as per your agreement. If a problem is detected, the team will consult with you to determine the best solution to the issue whether it is a repair or a replacement. Having the same facility management company for parking lot lighting and electrical is a real time saver. Moreover, you will save money. First, you have one company doing the work; second, you will have a commercial electrician at the helm. Skimping on electrical repair service is not only dangerous, but could be deadly. For electrical repair service from a master electrician, call LES Facility Service. You will be glad you did and so will your facility.